When goals of therapy shift from prolonging a patient’s life to symptom management and quality of life, a clinician is often facing a patient on multiple medications – including some with little benefit under the new goals. Stopping those medications can decrease the patient’s financial burden, as well as the risk of adverse effects. Click HERE to sign up for the brochure on this course. Whether to stop long-term maintenance medications can be a difficult decision for health care providers, patients and families. 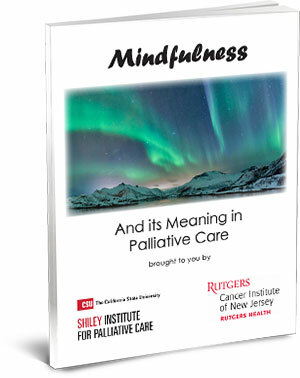 With few formal studies and no clinical guidelines to help them, prescribers who care for patients at the end of life may not be aware of the nuances of deescalating therapy. 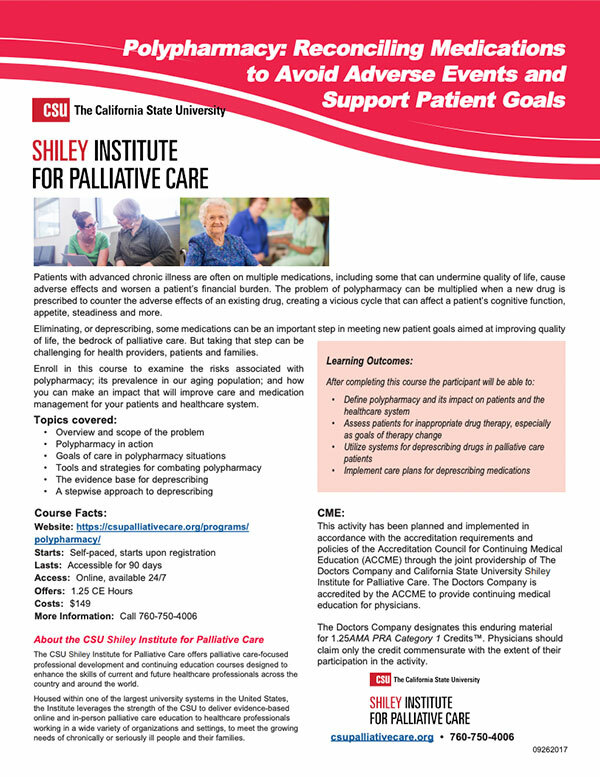 This course provides clinicians with a framework for understanding polypharmacy; the importance of deprescribing drugs in palliative care patients; and the tools, strategies, and resources clinicians can use to safely stop medications in alignment with patient goals. The Doctors Company designates this activity for a maximum of 1.25 AMA PRA Category 1 Credit™. Physicians should claim only the credit commensurate with the extent of their participation in the activity.